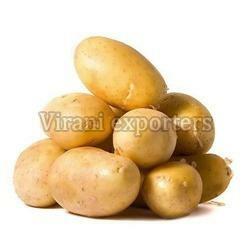 We supply top-quality Fresh Potato, which is rich in Vitamin C, and has the perfect size of 8-10cm. Our team of quality analysts strictly tests each product against varied quality parameters ensuring zero defects at buyer's end. Customers should stay rest assured with us for the payment procedures. They can pay us conveniently through wide-ranging payment mediums.